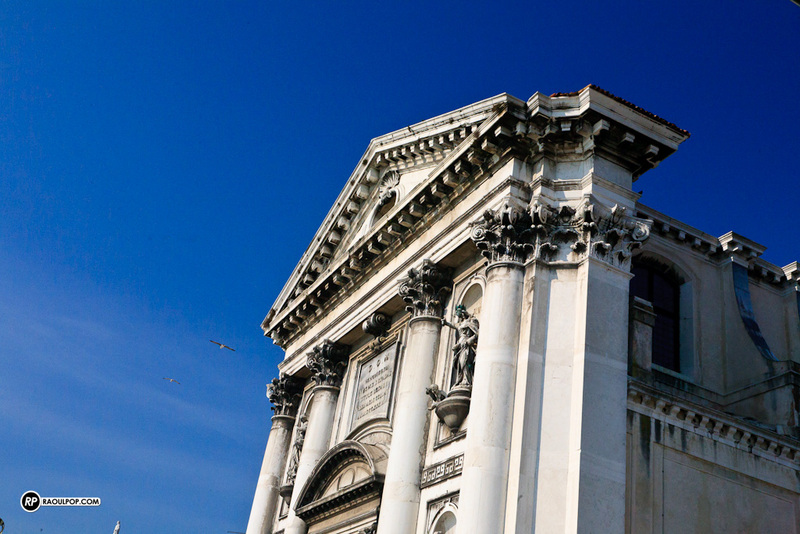 I mentioned this place back in April, in my two-part article about Venice, but I wanted to tell you about it in more detail. It’s called Al Ponte di Rialto Self Service. It’s an unassuming name for an unassuming edifice, but don’t let its looks fool you. 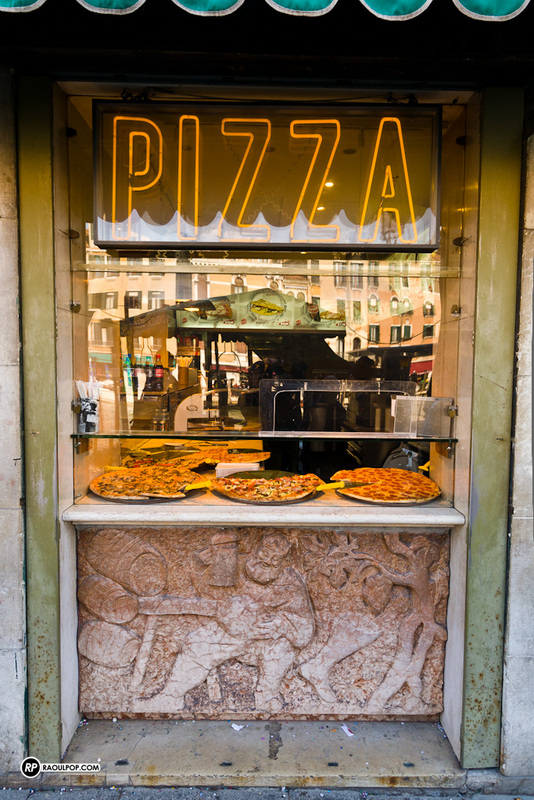 It’s some of the best pizza in Venice, Italy, and for us, some of the best pizza we’ve had in Italy. The prices are modest, which means you can eat yourself full without breaking your budget, then head out for a day of sightseeing. On a related note, want to know what to avoid in Venice? Avoid pricy restaurants, particularly the one next to this cathedral, with a view over the laguna to one of the neighboring islands. I’d tell you its name, but I forgot to write it down, and it’s also possible I’m blocking it. My wife and I got a mild case of food poisoning after eating a pizza there. Sure, we felt like kings sitting on a table overlooking the laguna, on a sunny and breezy late-winter day, but our stomachs told us otherwise afterward. And when you’re unfortunate enough to get food poisoning as you’re crossing the laguna on a boat, it can get mighty rough. This was the pizza that made us sick. 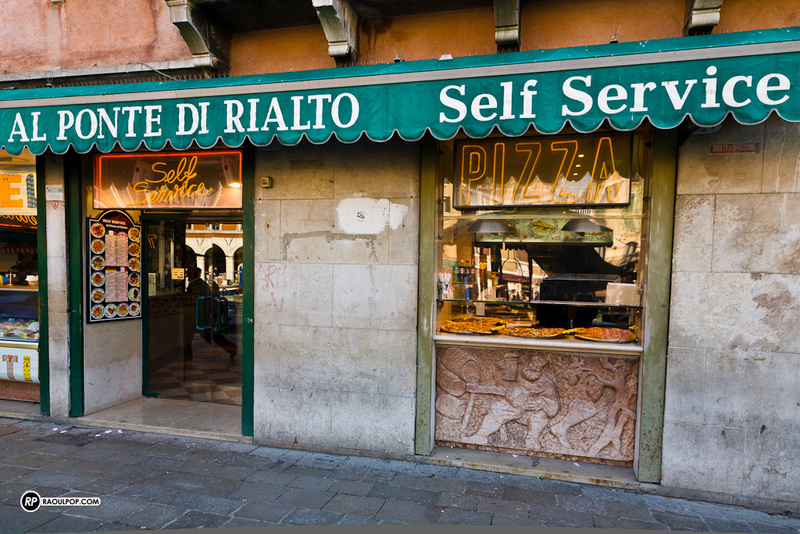 So, keep this in mind while in Venice: avoid pricy restaurants with incredible views, and go for the unassuming places with clean kitchens and delicious food, like the Al Ponte di Rialto Self Service. 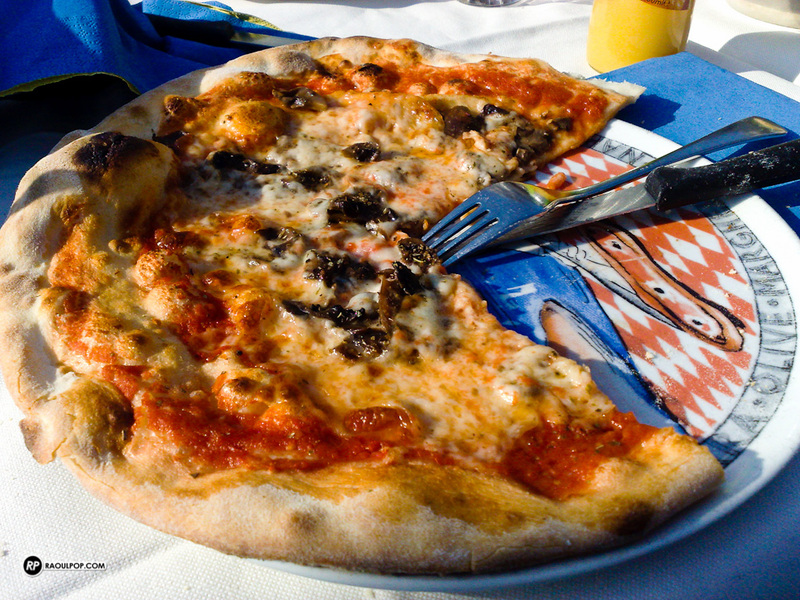 The best food I had in Italy was Trattoria Vittoria, also In Venice. A bit pricey but totally worth it…..